It complains about a missing font, but it definitely exists under ./share/texmf/fonts/opentype/public/lm/lmroman12-regular.otf. I'm using texlive-full (2016) on Debian testing. I would appreciate any pointers or explanations, I am stuck at this point, while researching the web for answers. As Heiko and David pointed out, using dvipng with LuaLaTeX is impossible. For my application, I have to use dvipng, because as far as I know, it is the only utility, which also outputs the baseline to position the image within a HTML document. I ended up writing a few "conversion" functions, which just replace all non-ascii characters with their corresponding LaTeX sequence. There's a pretty extensive unicode-to-latex table at https://raw.githubusercontent.com/w3c/xml-entities/gh-pages/unicode.xml. Thanks to David Carlisle for maintaining it! preview with lualatex dvipng replacement? Why does the switch to ClearSans font fails in LuaLateX? 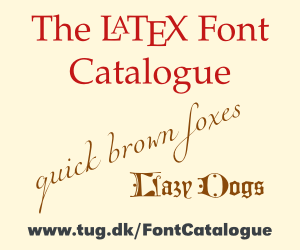 How to resolve a LuaLaTeX font error regarding missing or bad metric data?